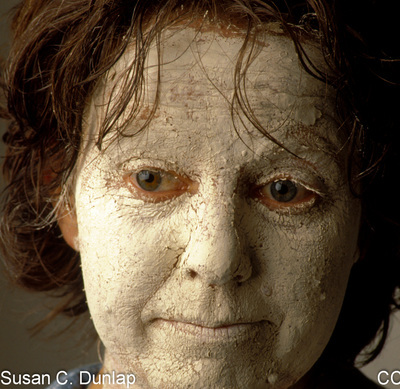 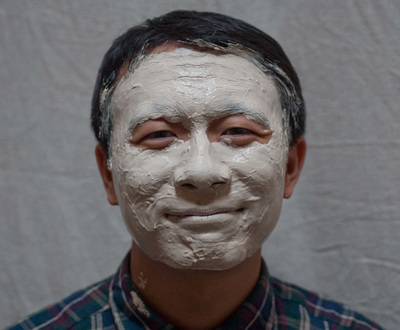 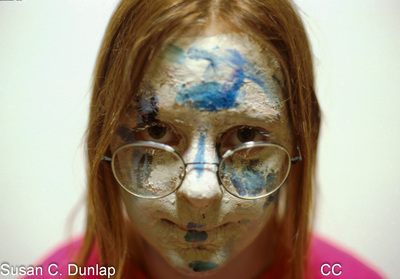 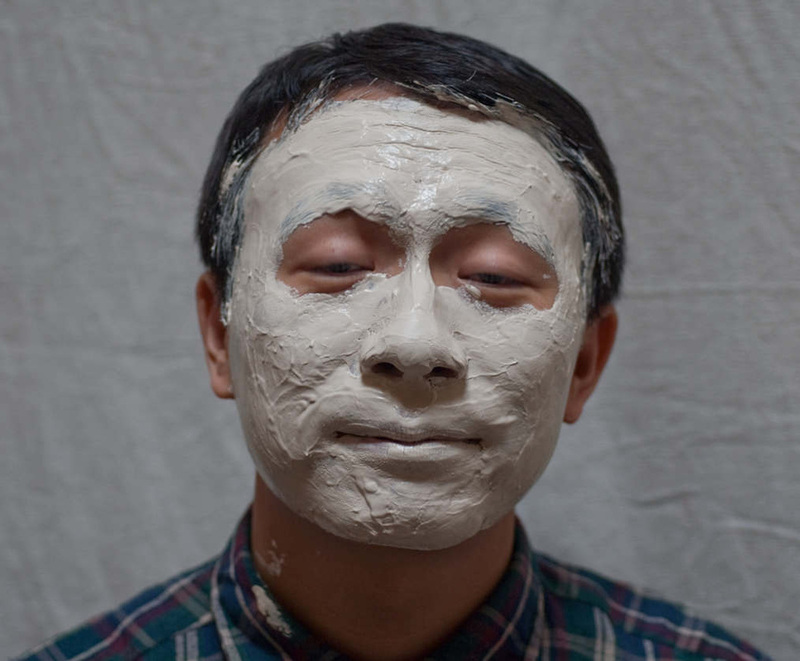 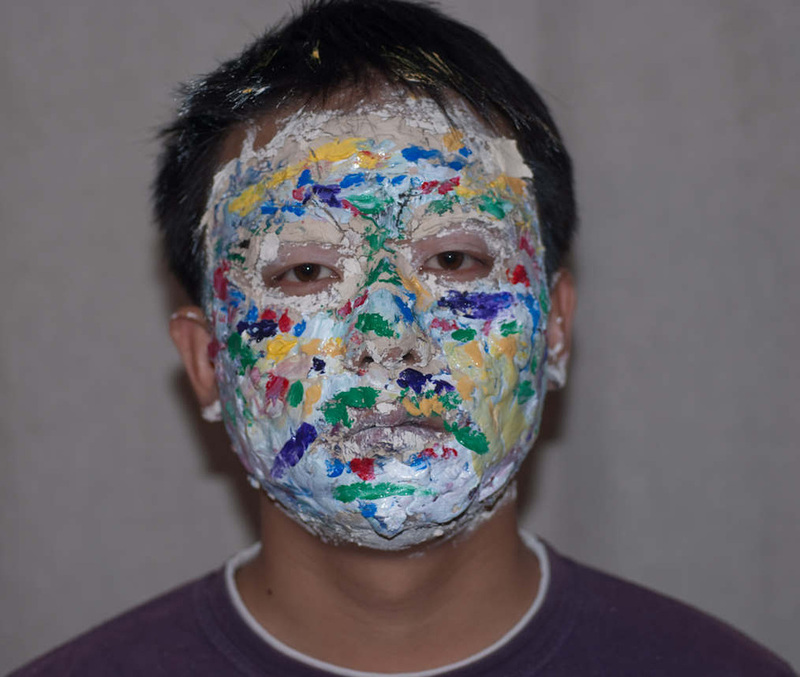 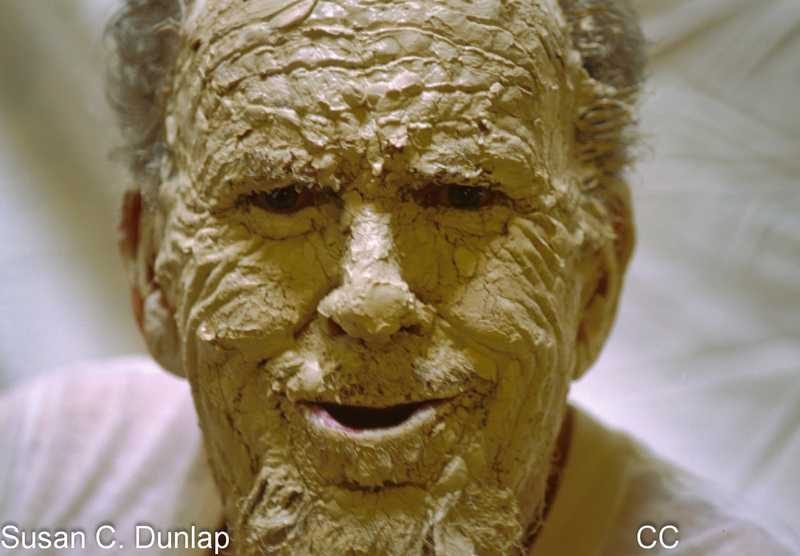 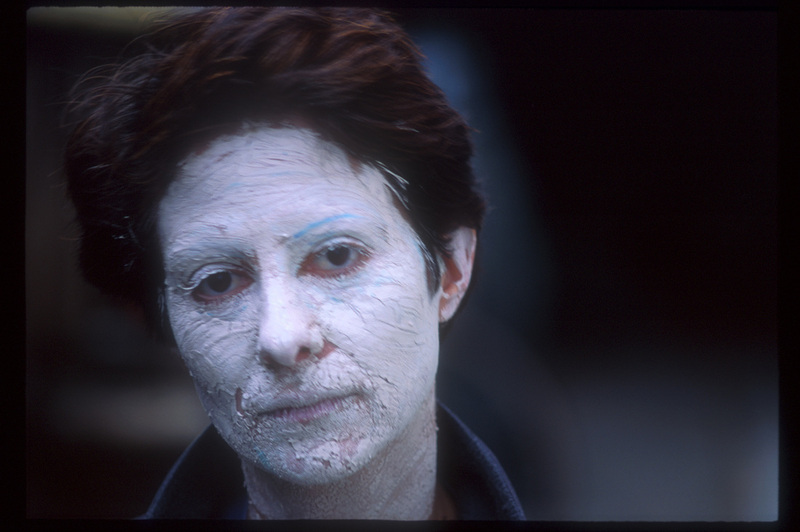 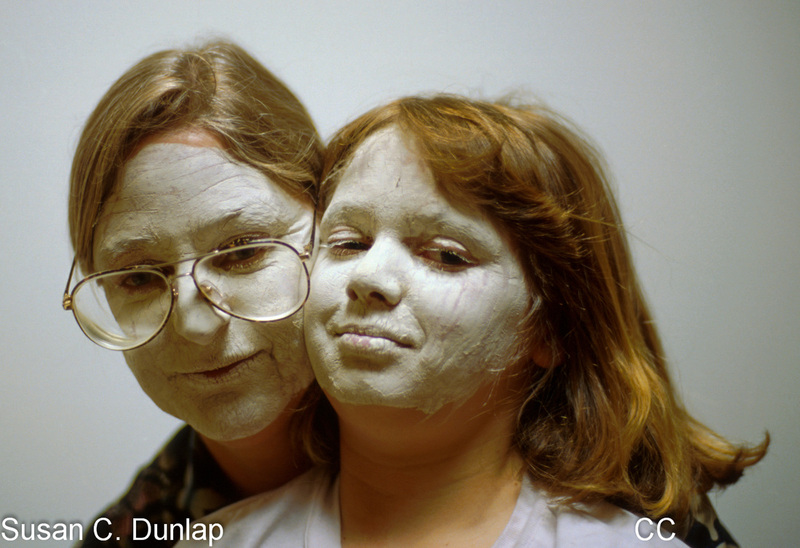 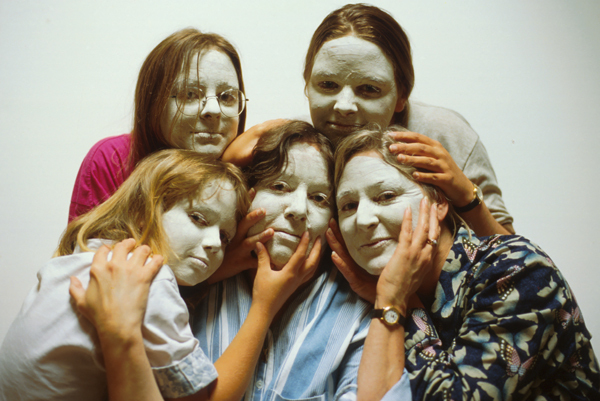 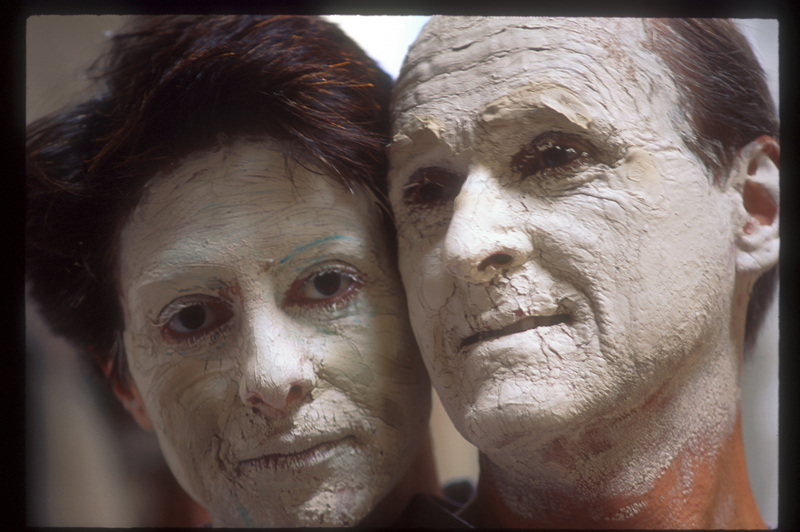 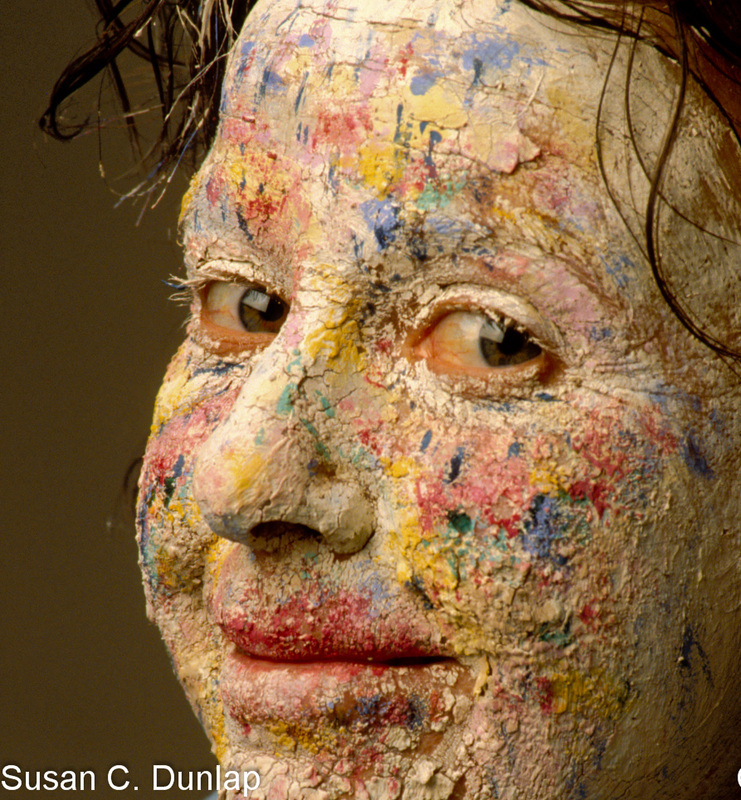 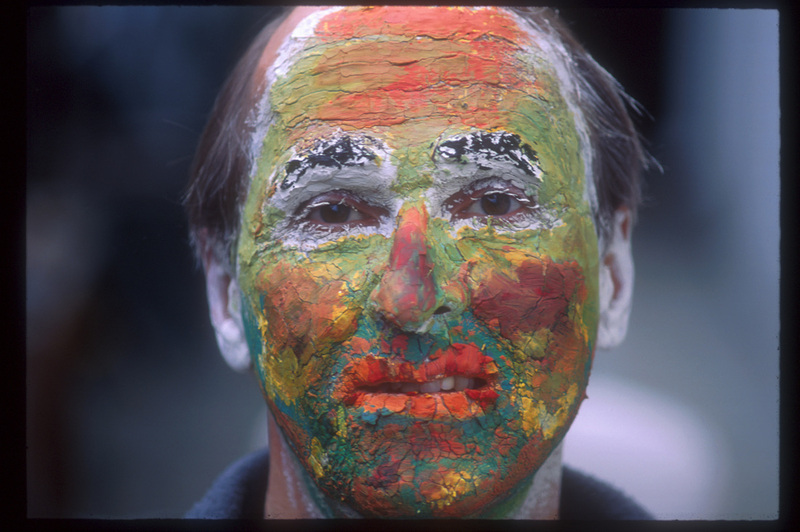 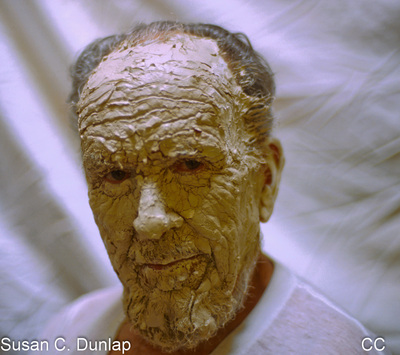 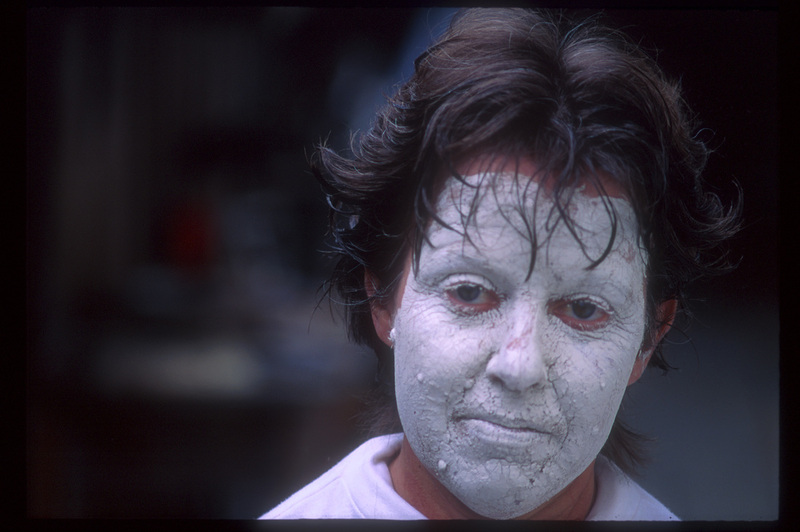 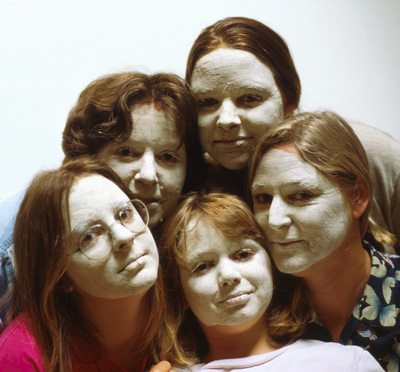 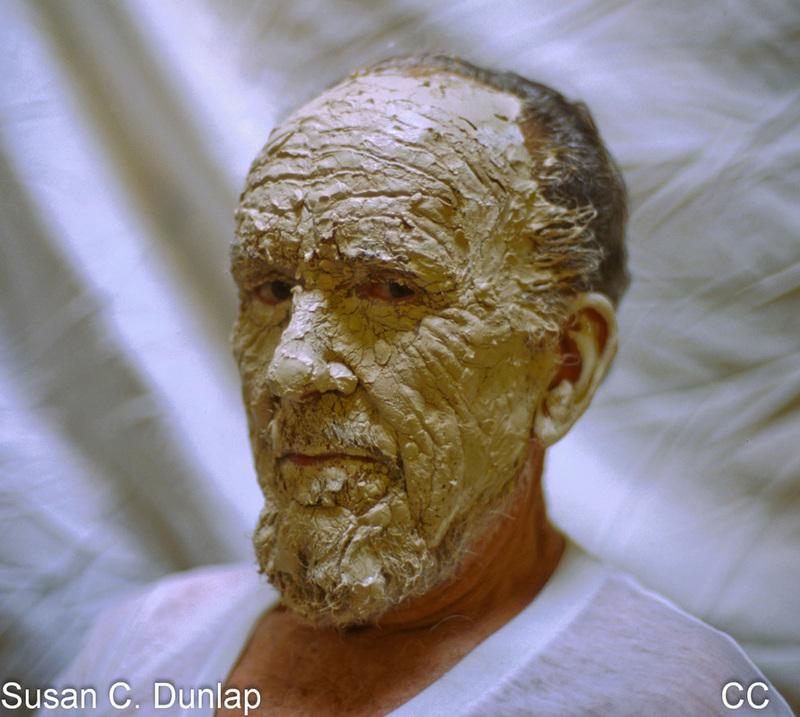 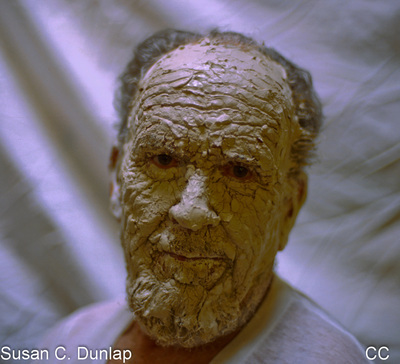 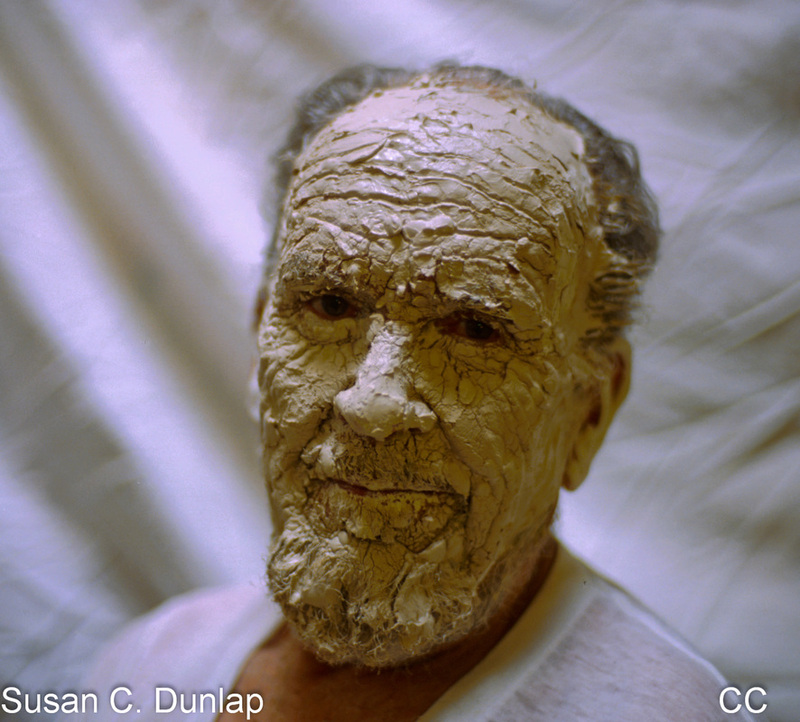 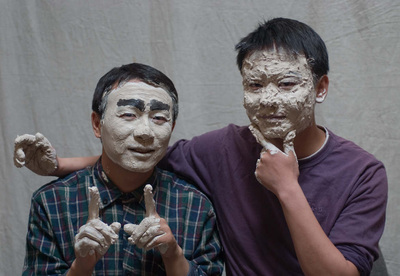 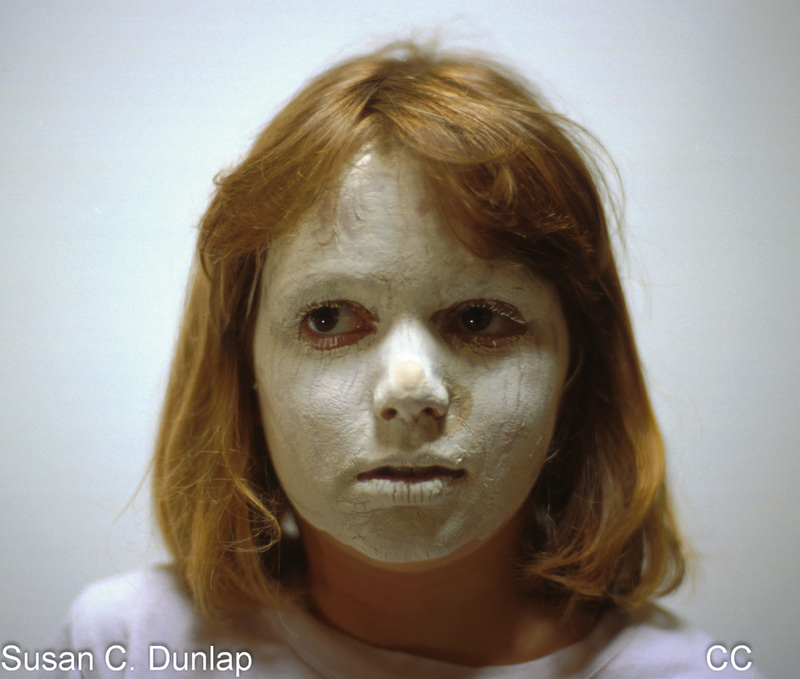 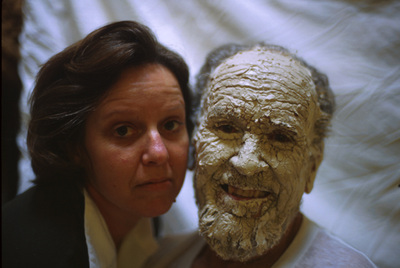 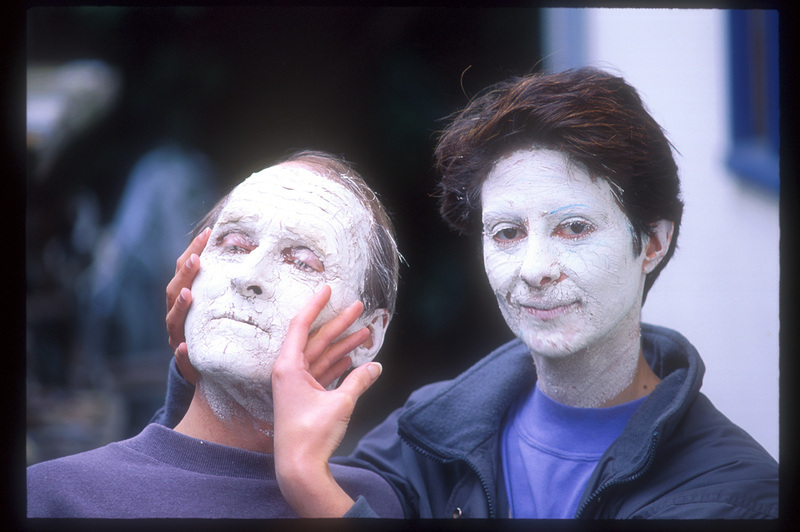 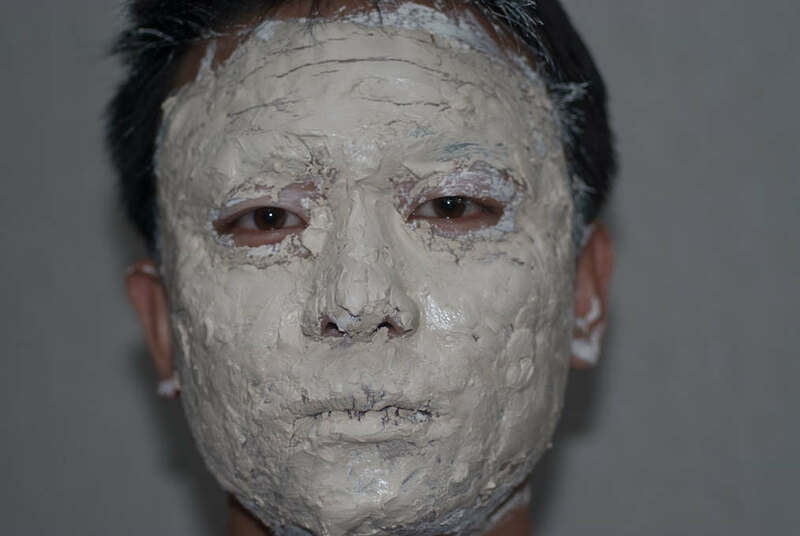 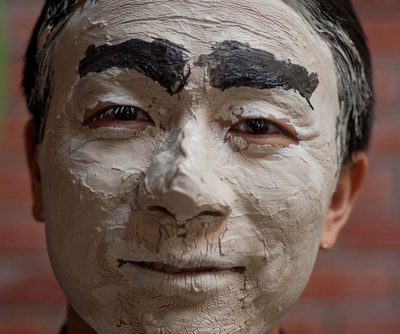 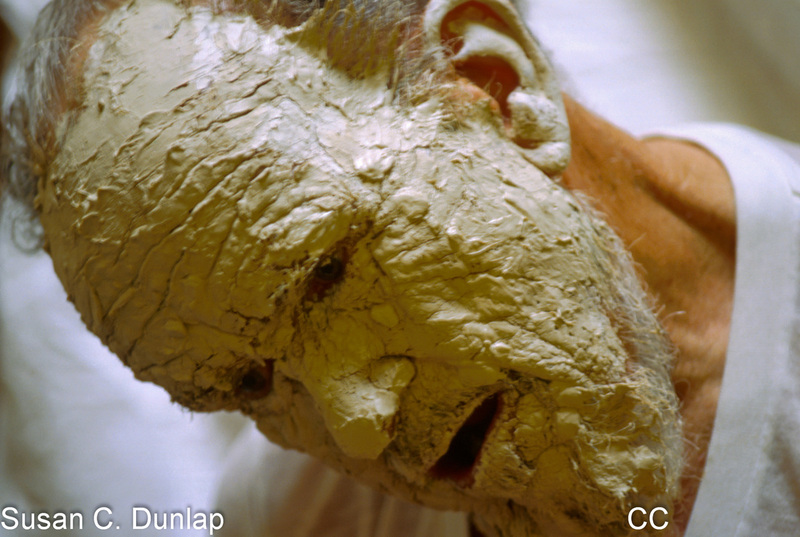 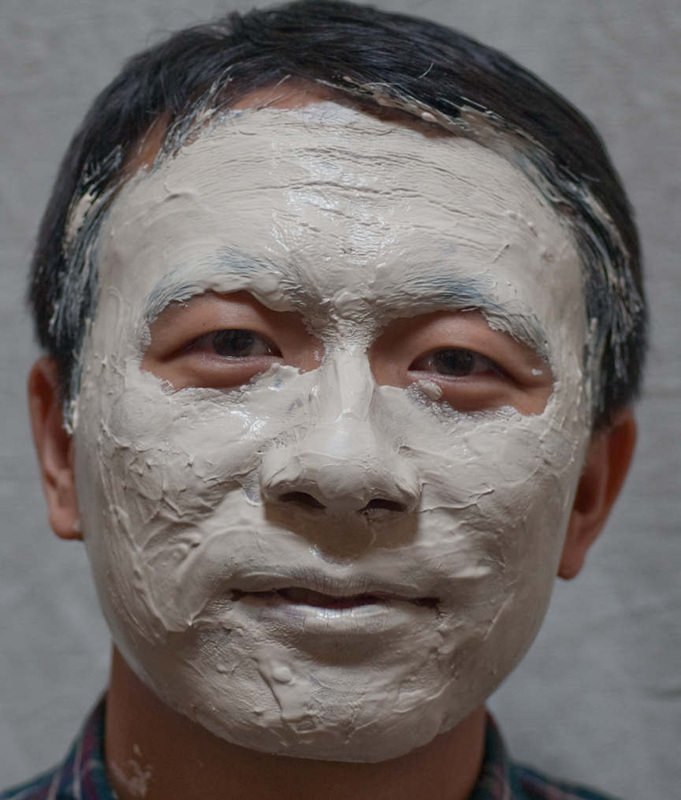 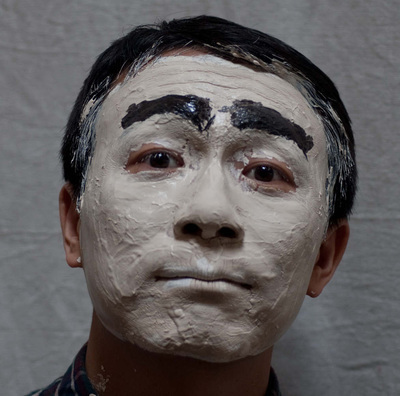 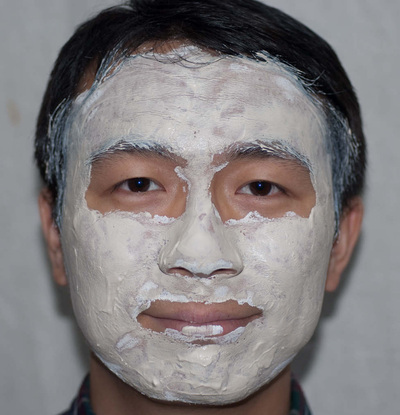 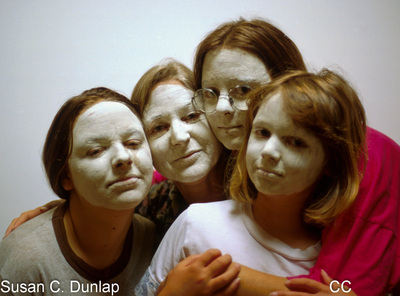 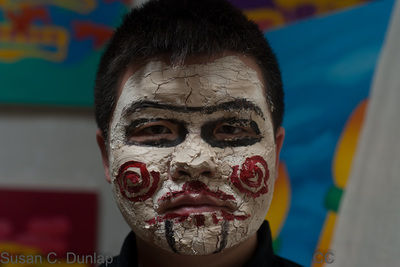 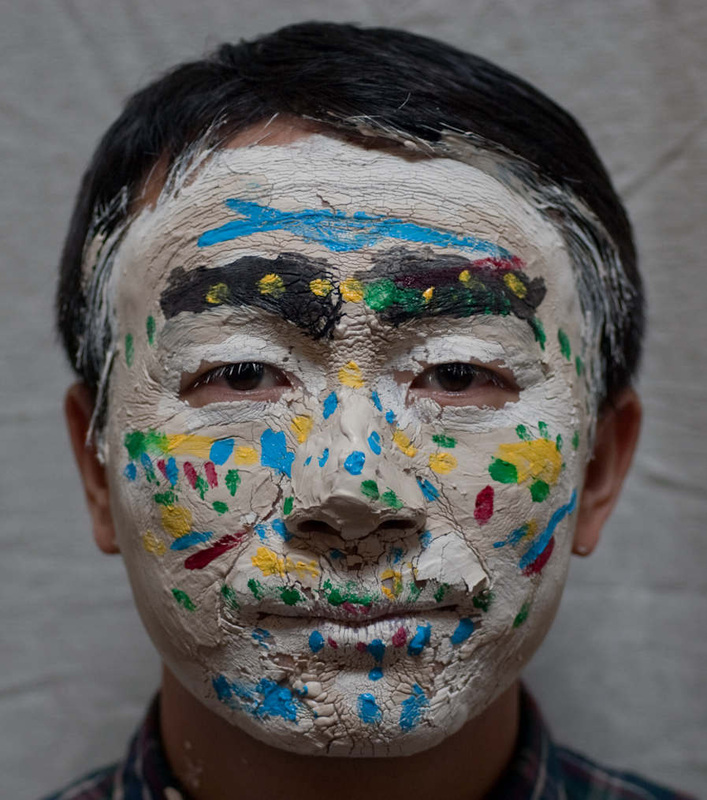 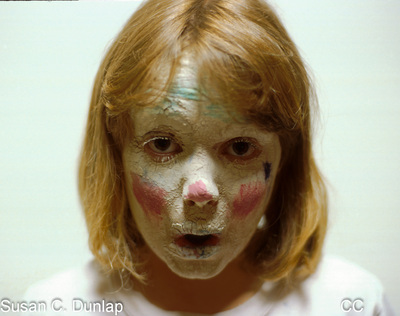 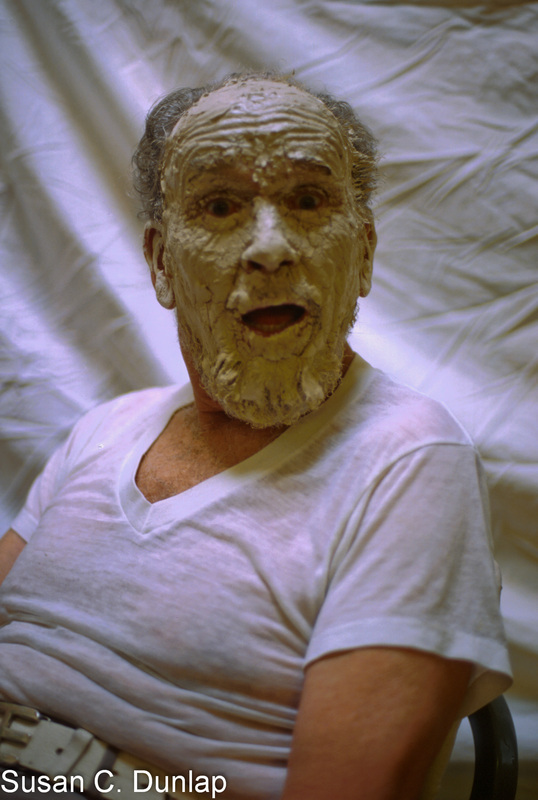 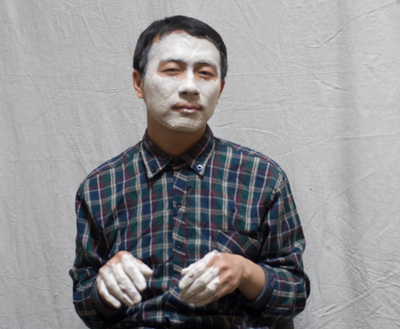 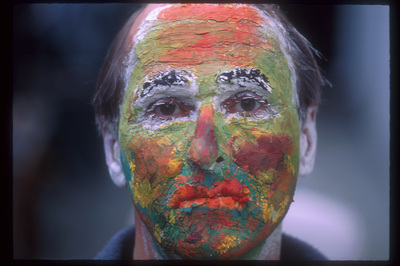 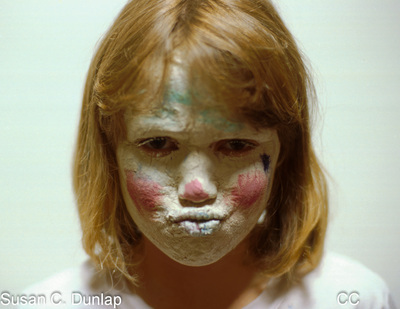 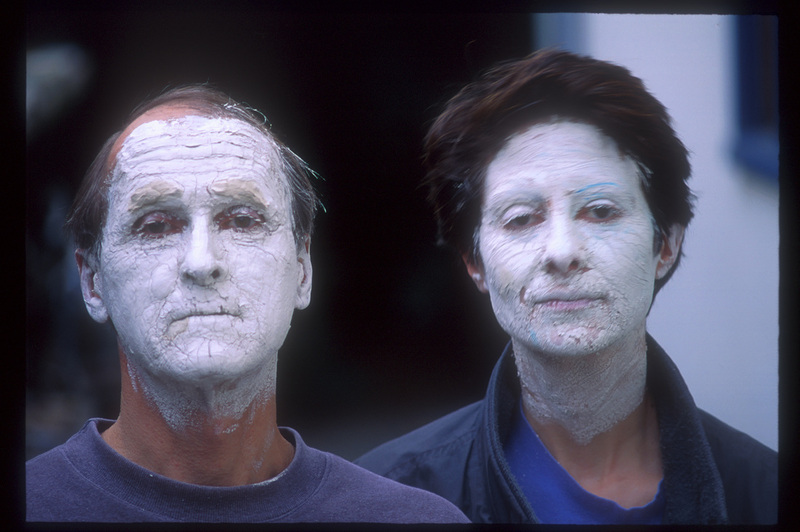 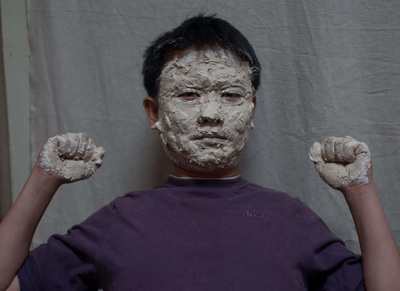 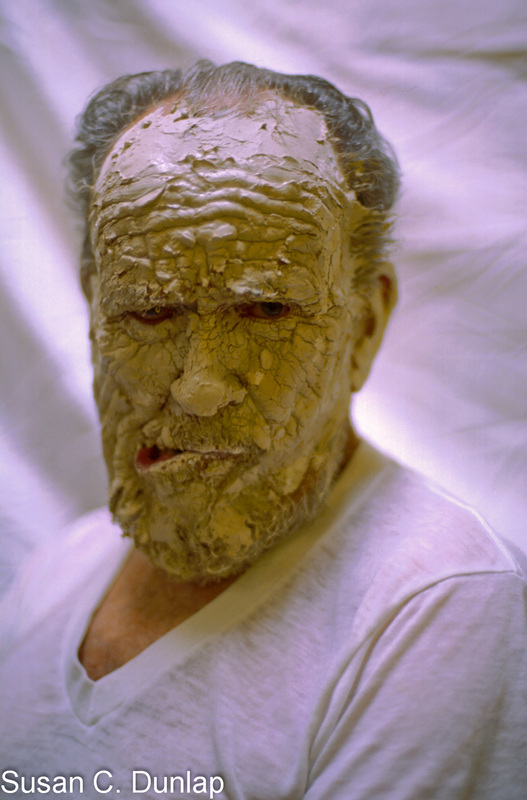 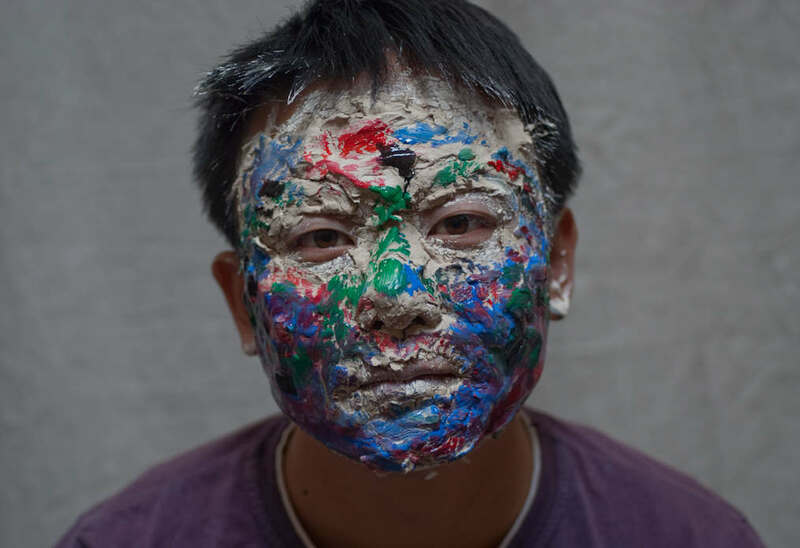 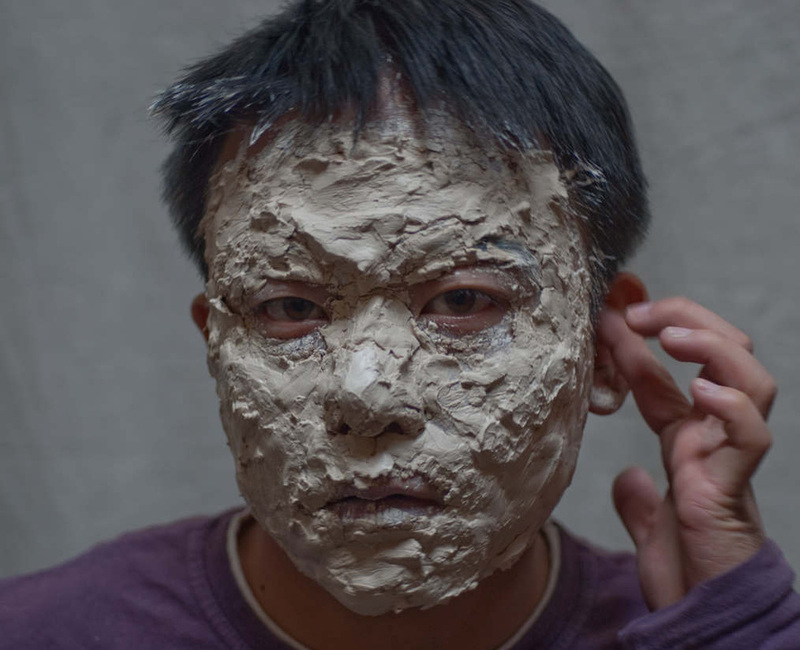 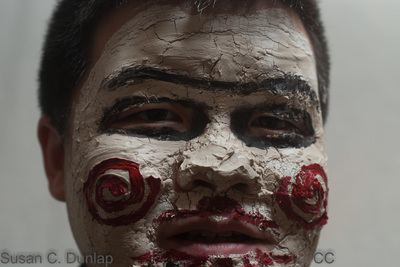 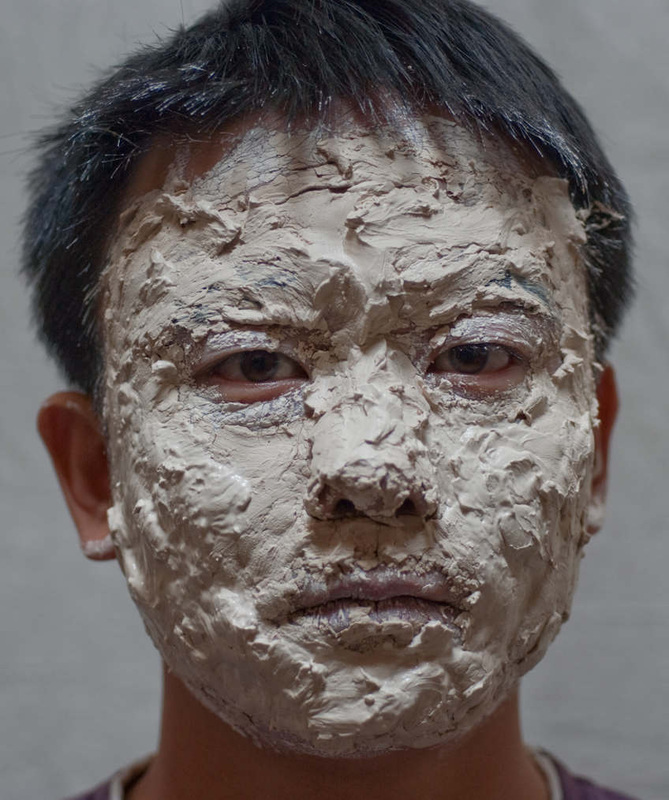 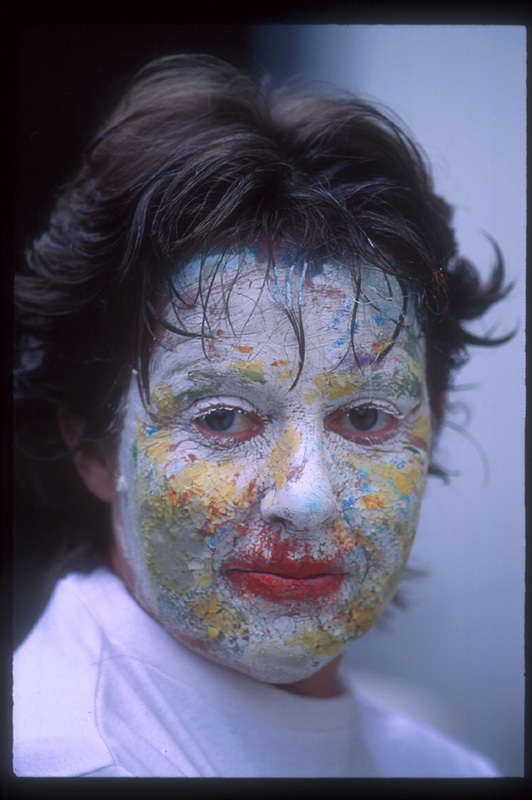 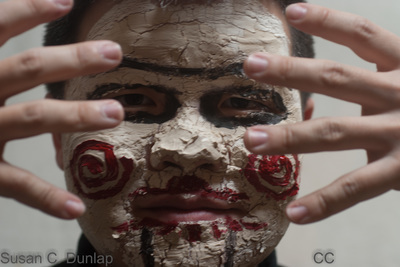 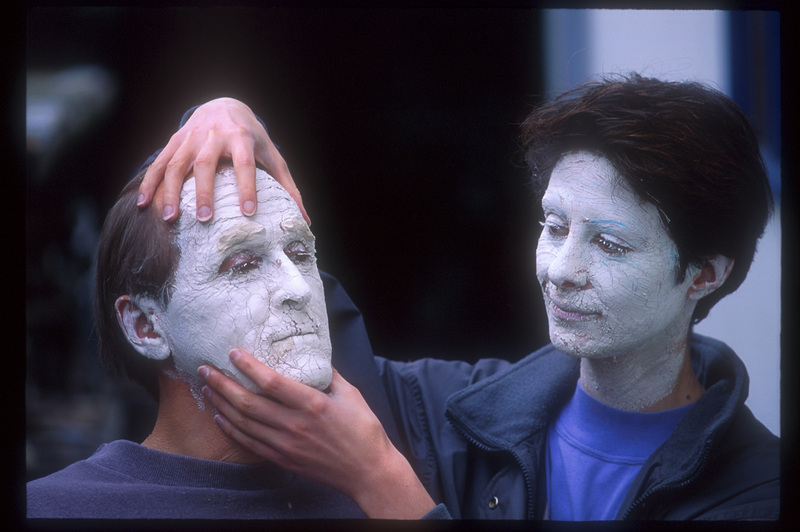 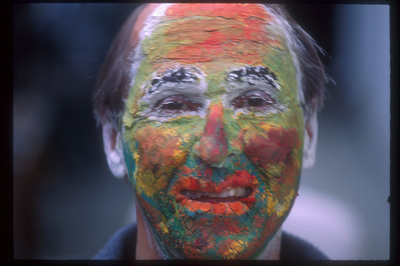 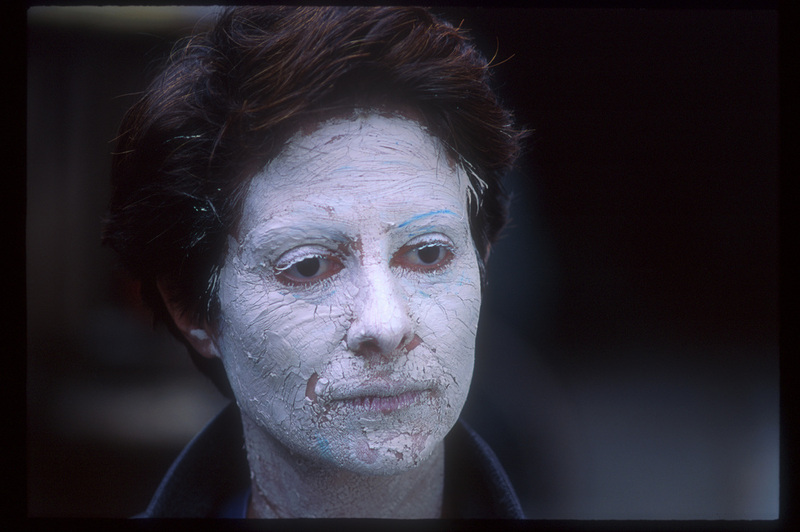 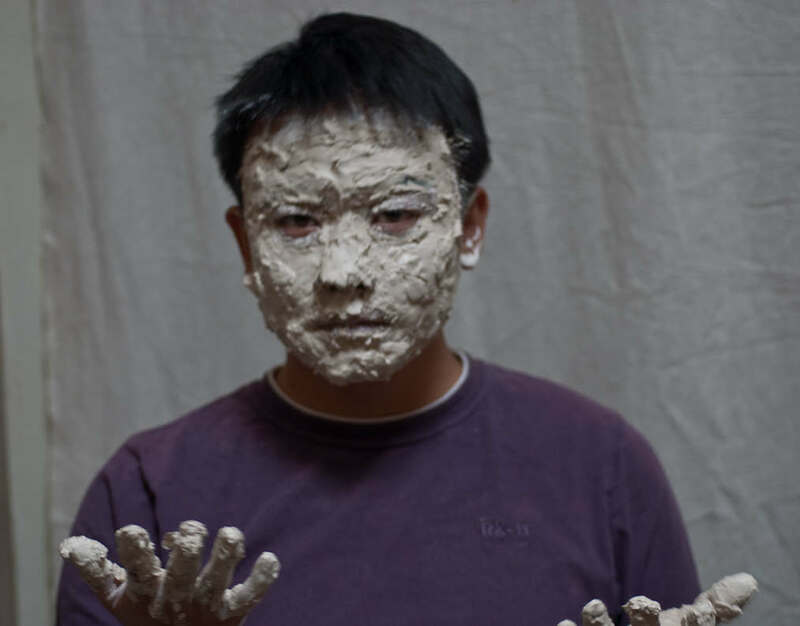 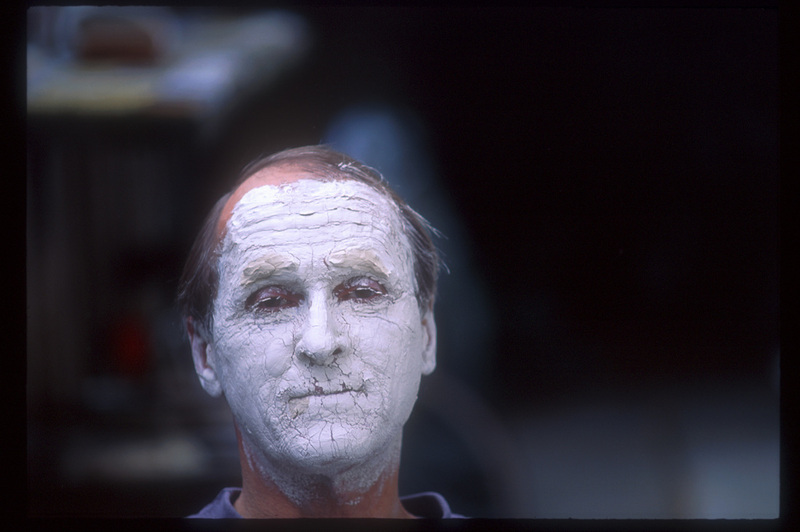 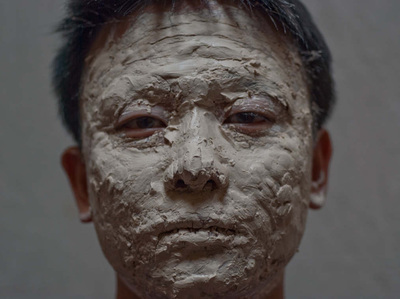 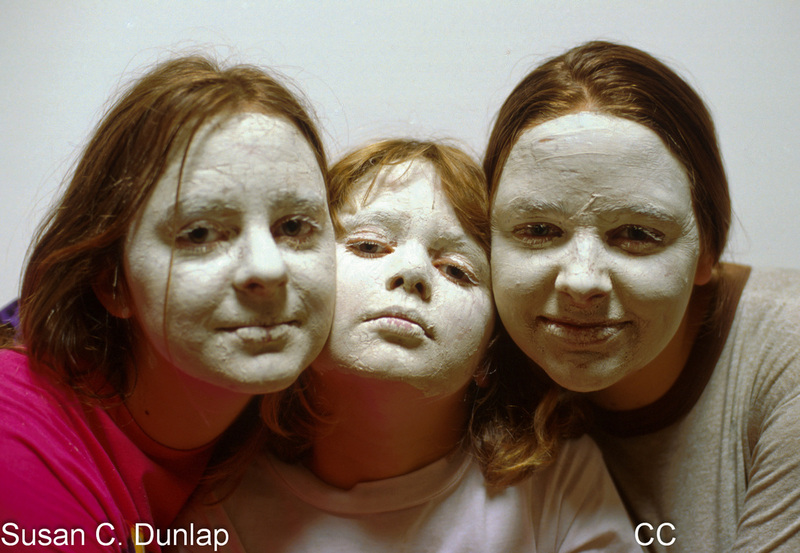 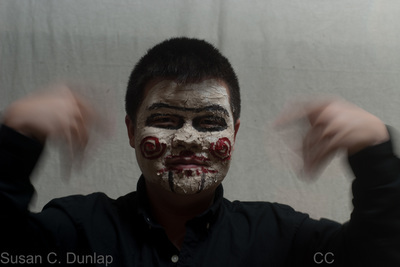 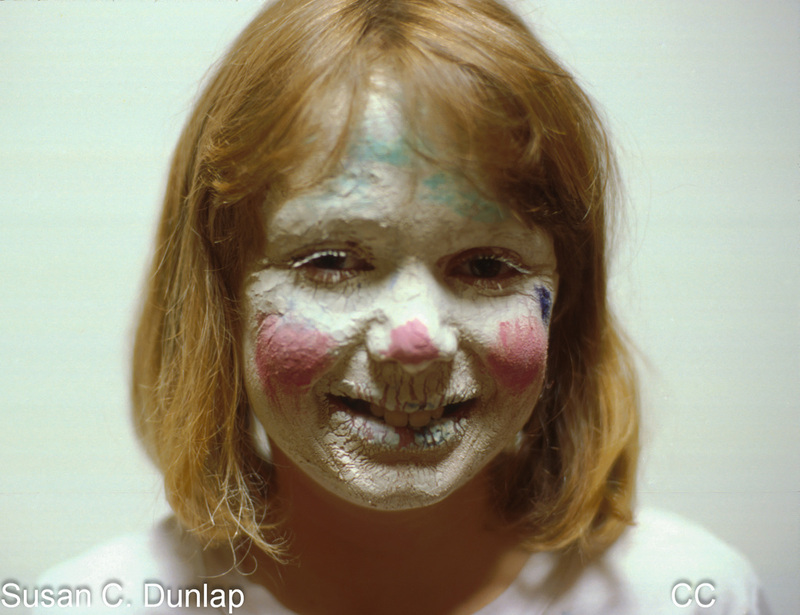 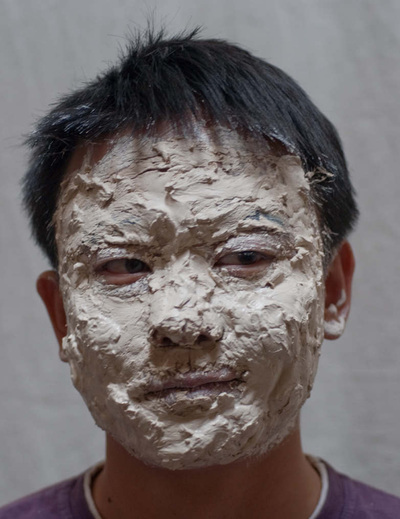 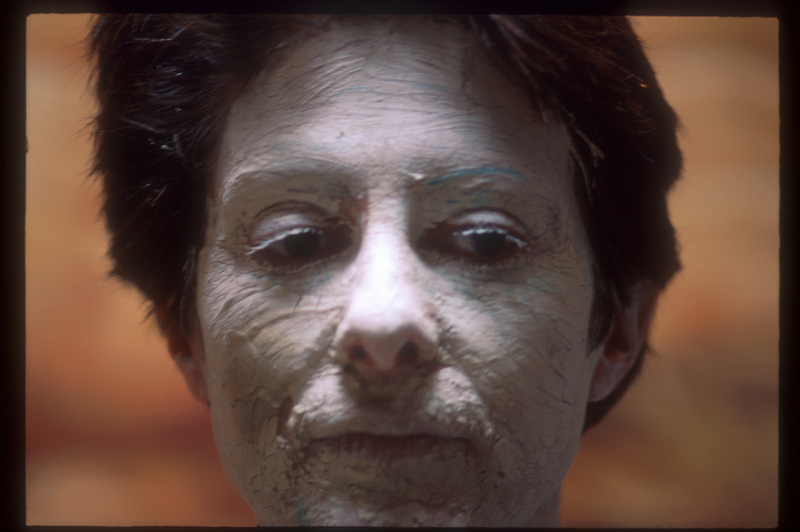 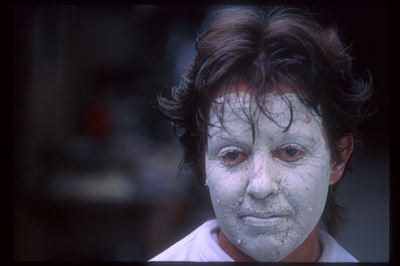 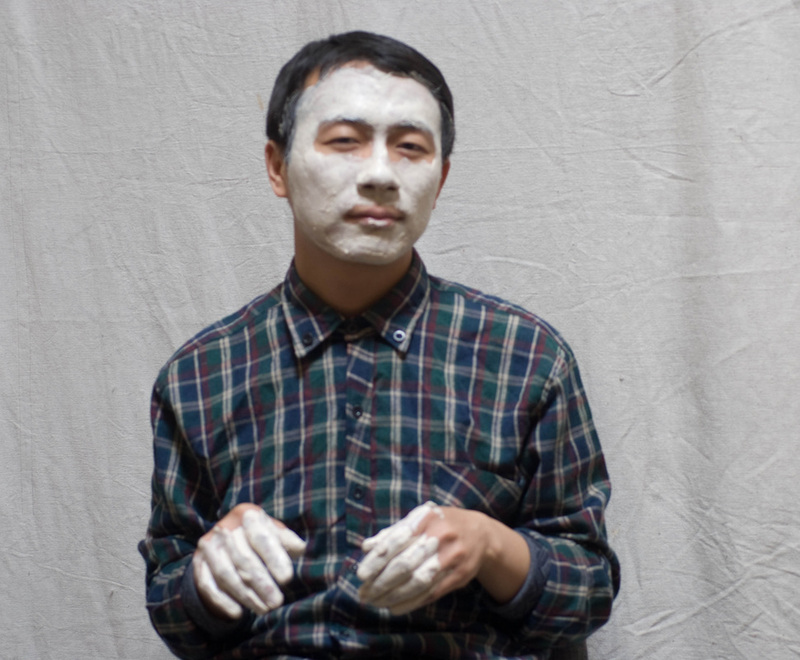 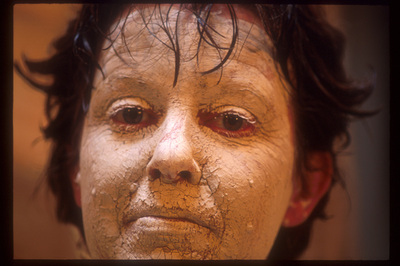 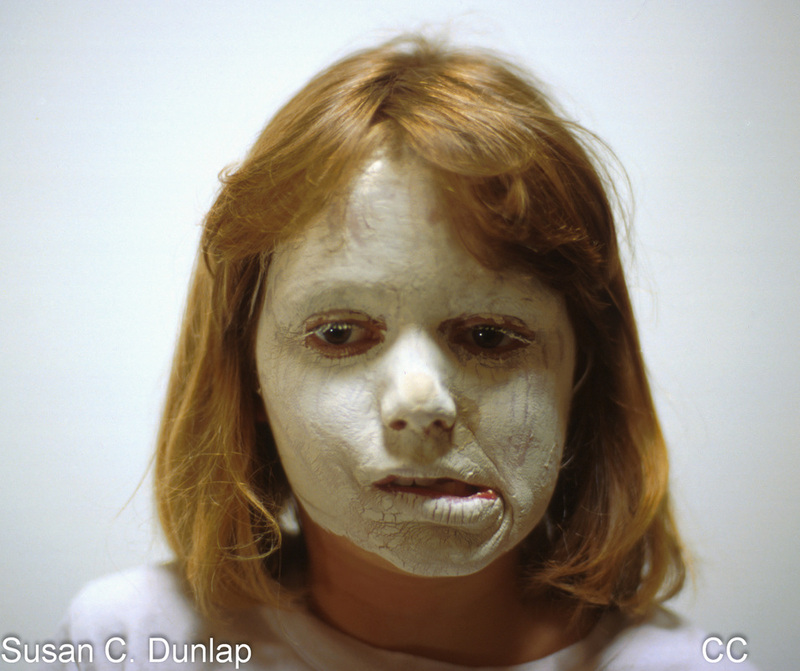 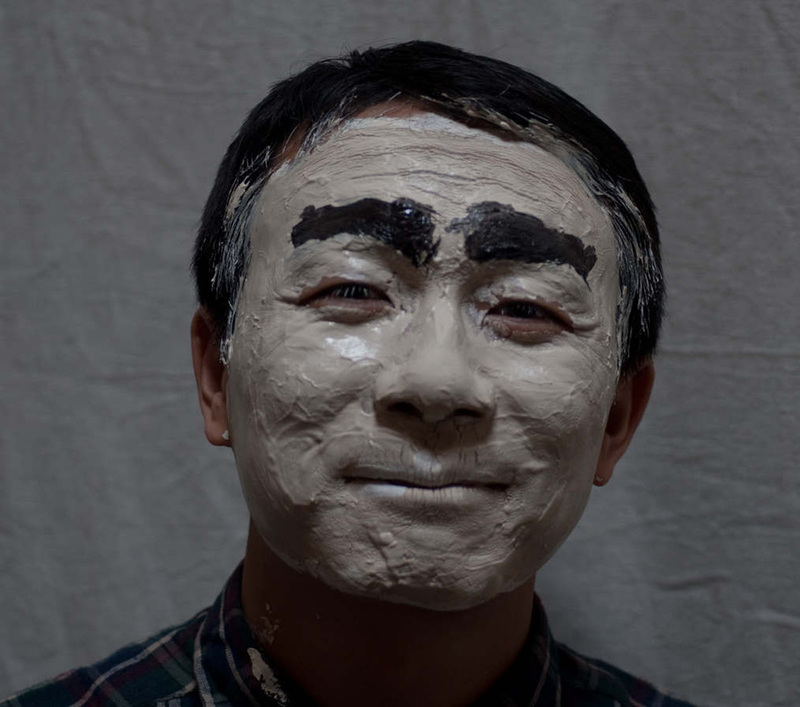 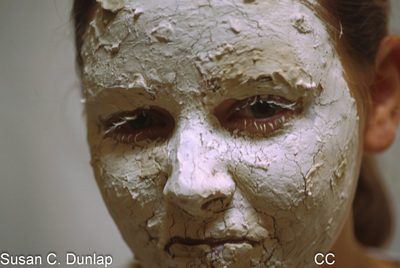 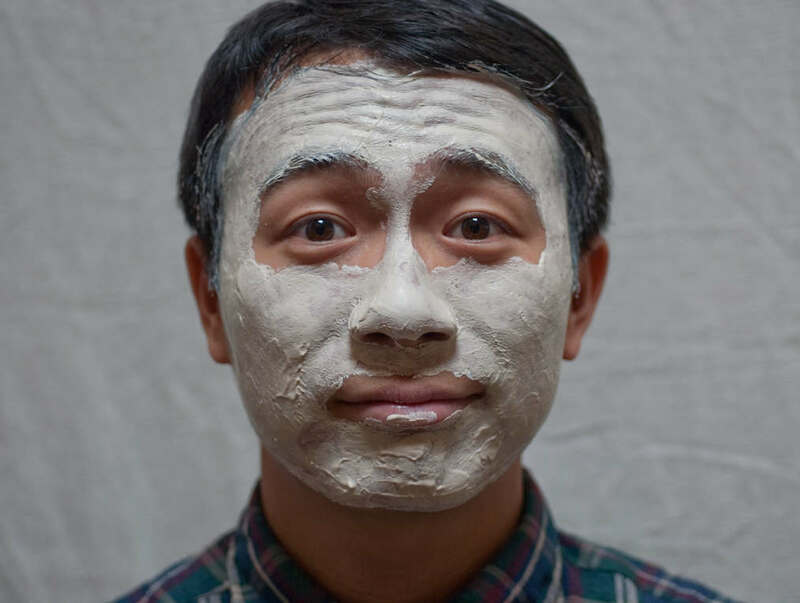 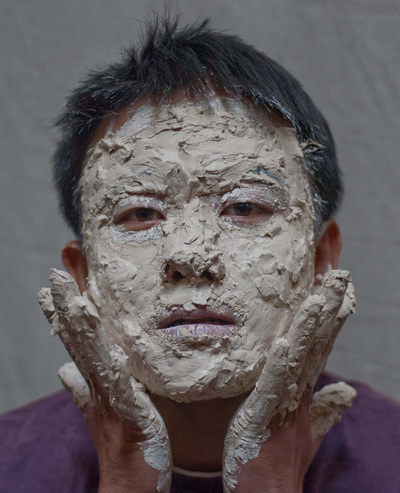 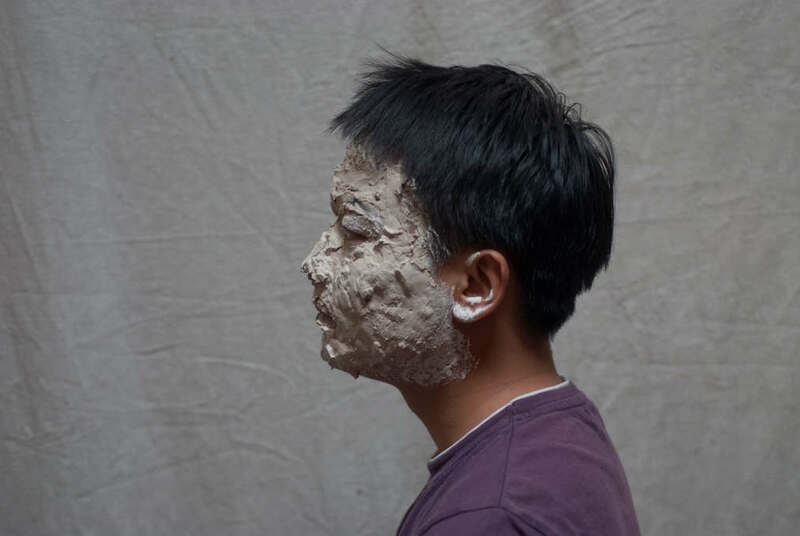 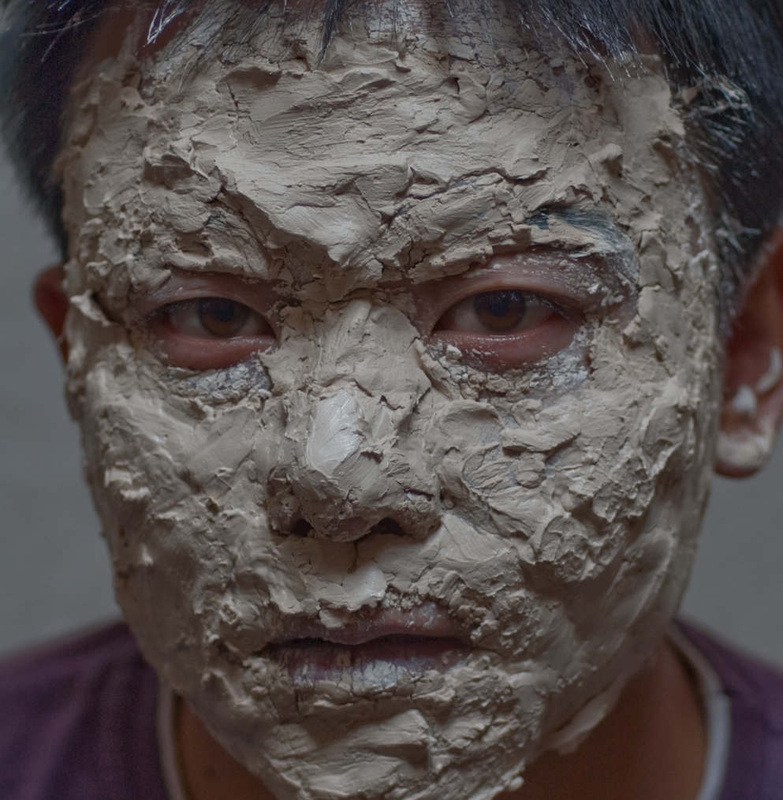 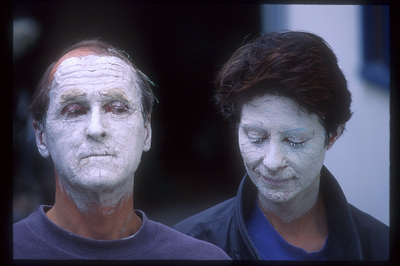 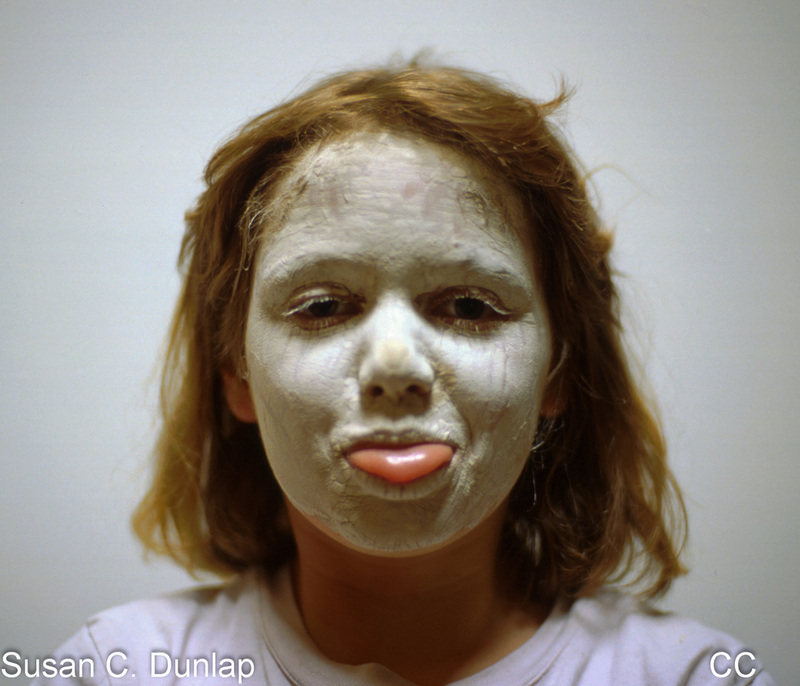 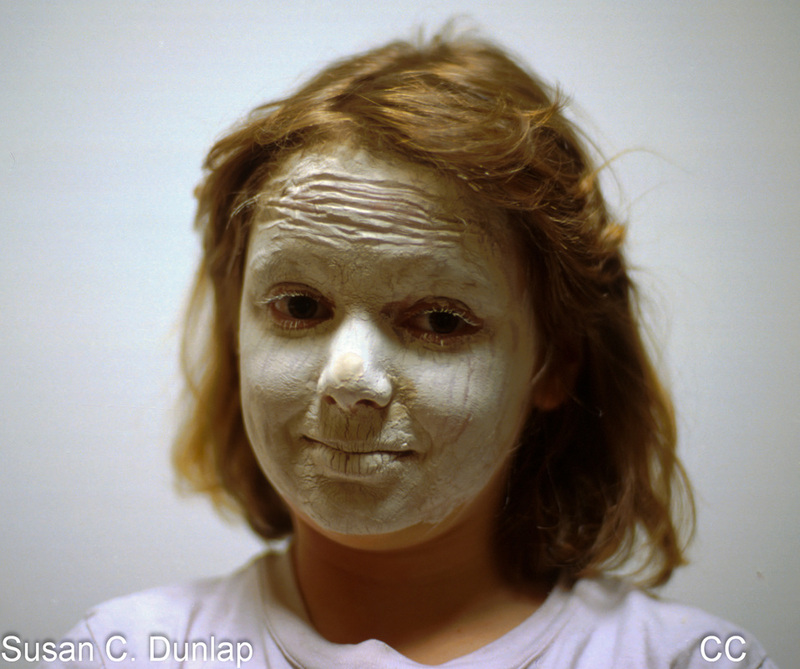 Photographs: Clay Face Series. 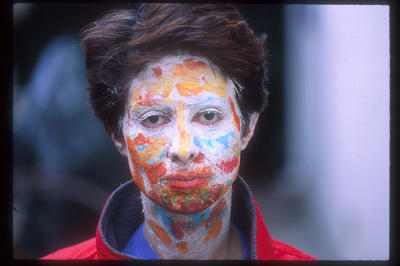 1993 - 2016. 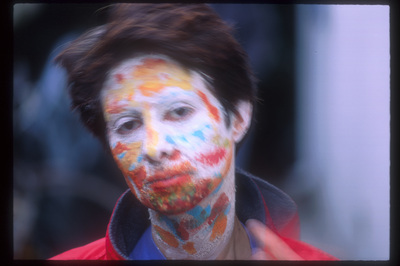 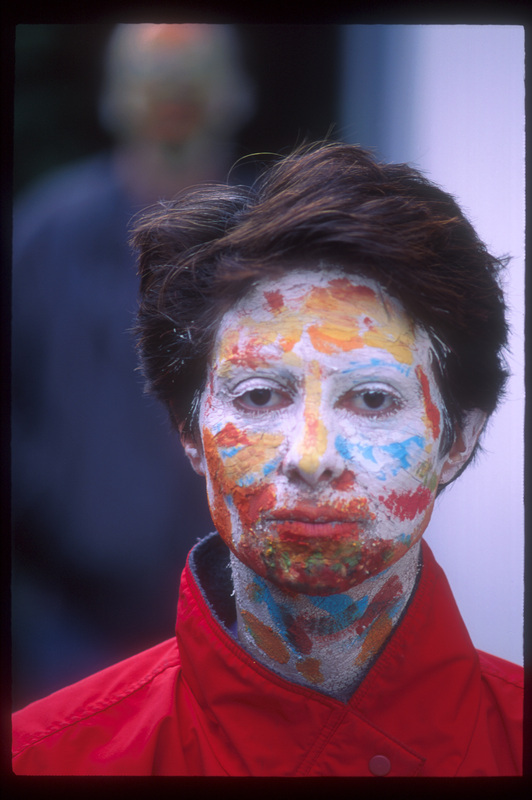 The 'About Loss" Series, executed in 1993, came from a painful state that thankfully softened over time. 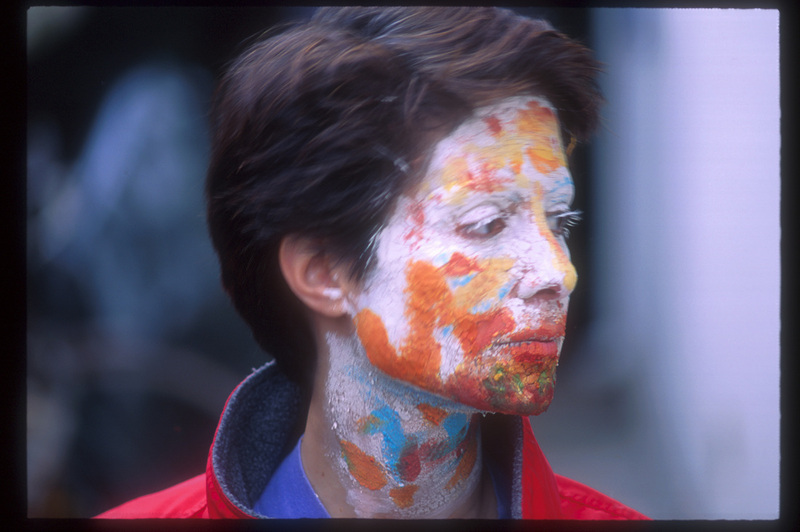 Yet, I found I was still unable to restore the innocence I had previously known, so continued to explore how to express my evolving state of mind. Briefly I painted realistic portraits but found I could not sustain executing them. 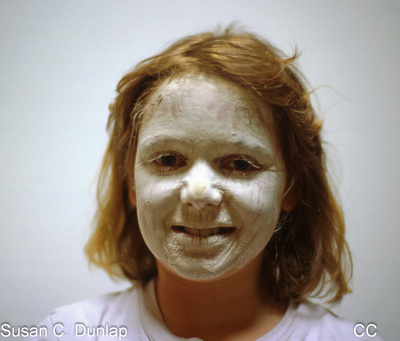 I sought inspiration by studying the portraits and figurative work of others. 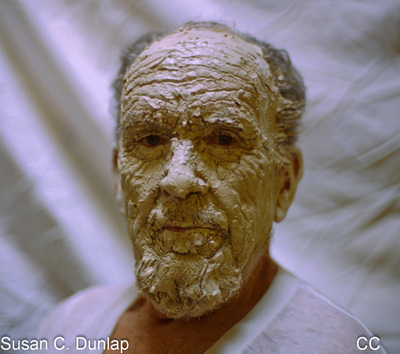 The images that resonated with me were photographs of African tribesmen in 'native costume'. 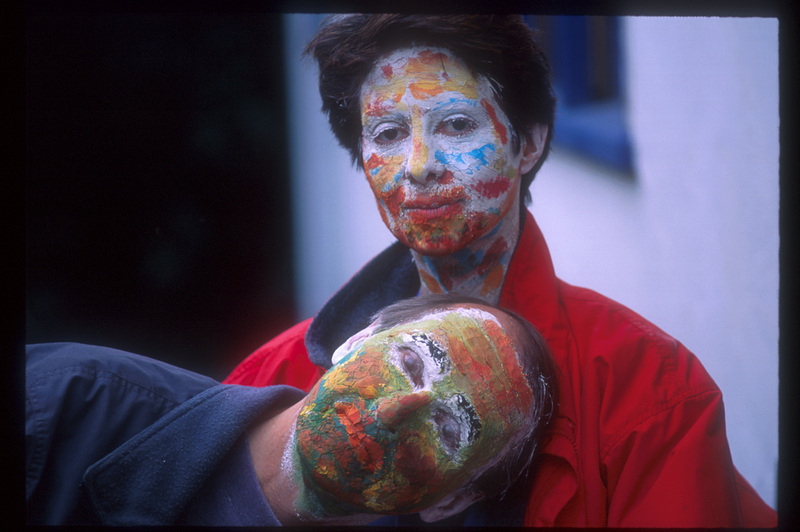 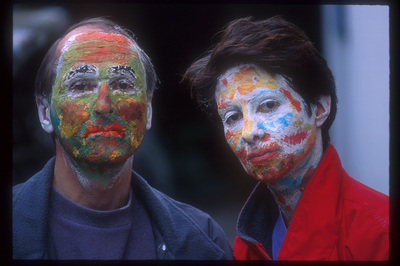 The tribesmen covered parts of their face in mud and paint. 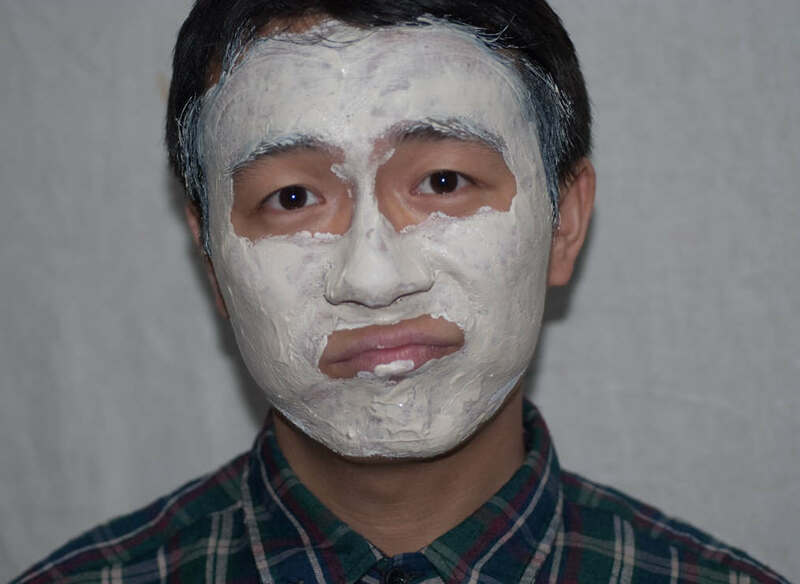 I borrowed this idea. These photographs held the promise of helping me get at grief and so continue the healing process. 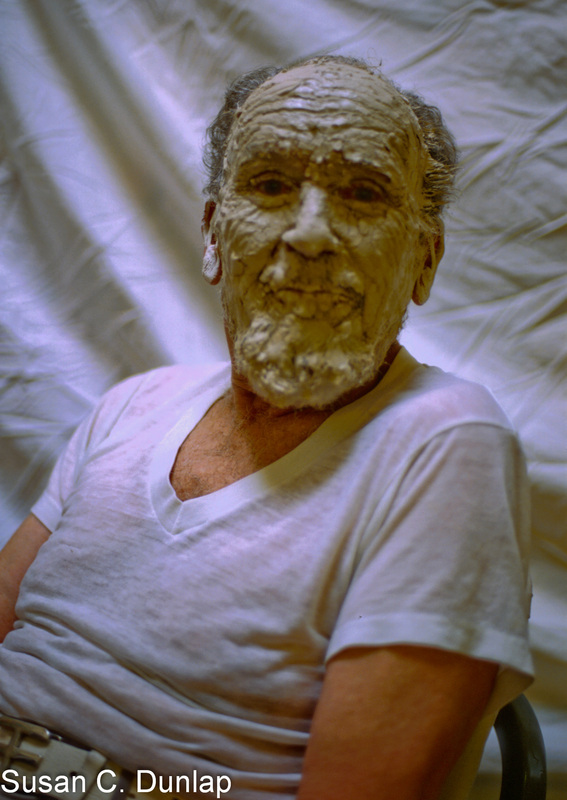 The meaning of this series evolves as I continue to add to it. In 2010, I opened my home to two Chinese intellectuals—both post-docs in physics, working at Stanford University at that time. 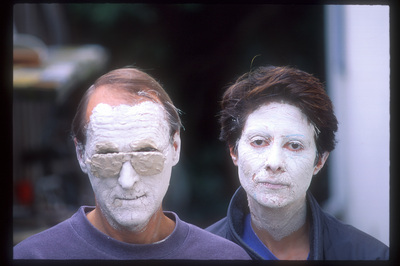 These two scholars joined my clay face series as they too were a part of a small group of individuals who added meaning to my life.